Don't take our word for it. Here's what past guests have had to say about their stay in Meg's Place, Ashburton. Visitors comments listed on this page have been made by previous guests who have enjoyed their stay with us. Guest comments have been sourced from reviews at either Google, Holiday Homes, Holiday Houses or Bookabach websites. Plus any comments emailed to us. To have your guest comments added to this page either enter them onto the listed websites / pages, our Facebook page or emailed to us. Click on the links below to add your comments. ​Thanks to all those who have sent in their comments we appreciate your kind words. Andrea and I strive to supply a family friendly, warm, clean and tidy place for visitors to Ashburton to enjoy as their home away from home. *Stayed June 2017 - Accommodation - Meg's Place, Ashburton. "The house was very clean & tidy. It had everything that was needed plus more. The heat pump, fireplace and HRV were great on the cold days & nights." *Stayed May 2017 - Accommodation - Meg's Place, Ashburton. "A lovely property - very spacious and immaculately clean. There were six adults and it never felt like we were on top of each other. The log burner was great (plenty of wood) and there was plenty of afternoon napping enjoyed! Would definitely stay again when back in the area." *Stayed March 2017 - Accommodation - Meg's Place, Ashburton. ​"A very nice Bach with plenty of space. Conveniently placed near town." *Stayed February 2017 - Accommodation - Meg's Place, Ashburton. Great place, lots of space, clean and modern. Quiet location and apart from off-street parking space also plenty of on-street parking available. WiFi worked without a problem. Would definitely stay again or recommend to anyone wanting to stay in Ashburton. *Stayed December 2016 - Accommodation - Meg's Place, Ashburton. My family and I were particularly impressed with John's friendly and helpful manner. He made us feel completely at home in the comfortable and well-provided accomadation. Thanks very much John. Delightful setting and location quiet."" *Stayed November 2016 - Accommodation - Meg's Place, Ashburton. John was great to deal with, very friendly & helpful. *Stayed October 2016 - Accommodation - Meg's Place, Ashburton. ​A lovely place to stay - highly recommended to everyone. Meg's Place was a comfortable, spacious and warm house with a great location not far from the city centre. Definitely exceeded our expectations. Hosts were lovely and helpful, making us feel right at home in Ashburton - would certainly stay again! 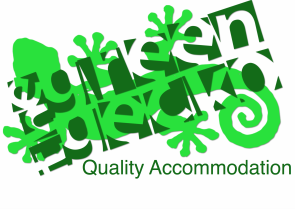 "Great place to stay,clean tidy with everything you need. Recomended, would happily stay again." *Stayed May 2016 - Accommodation - Meg's Place, Ashburton. "The house was clean and tidy, spacious and warm. john was really helpful. Highly recommended." *Stayed April 2016 - Accommodation - Meg's Place, Ashburton. Very clean and tidy with the bonus of heaters and lights on for our night arrival which was much appreciated. Only issue was that our 6 guests could not all have a hot shower that night due to hot water availability.